A revival is as an improvement in the condition or strength of something. Considering this definition, Cyclonious The Natural Disaster’s latest album The Revival is aptly titled. Quite possibly his magnum opus, as well as his last solo album, this regenerative work is a timeless classic that sounds a clarion call from the akoben (war horn) that the ultimate fight is for rejuvenation of humanity via praxis. We are proud to bring you part one of a two part series entitled Cyclonious: The Revival. 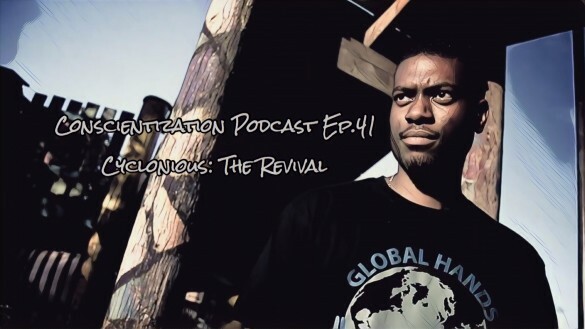 In part one we discuss the conception of the album, limitations of speaking a colonial/slave language, and much more.